These are not the same roads you grew up on. With the ever increasing number of super freeways, eighteen wheelers and increase in distracted driving with the advent of cell phone usage, today’s roads are more dangerous than they have ever been. Make sure you are prepared by tuning up your driving skills! This one hour simulator will ensure that you are prepared to navigate today's dangerous roads. 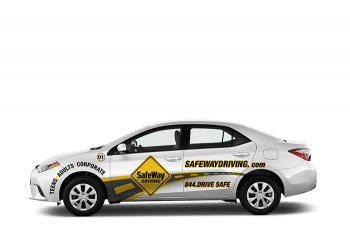 Your SafeWay Instructor will provide critical feedback prior to your assessment and driver training. A certified and highly trained instructor will assess your strengths and weaknesses and provide you with a electronic report as well as their professional training recommendations. Once your assessment is complete, your instructor will work with you privately to increase your skills behind the wheel. This one hour lesson is completely customized to your unique driving needs.